Scientists have seen signs that the East African Rift could separate the eastern part of Africa from the main continent in the future. A massive piece of East Africa will break off from the main continent, although certainly not in our lifetimes, according to a groundbreaking new study. 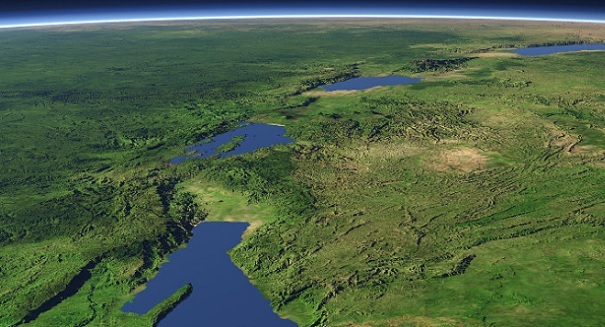 Scientists have obsesrved a huge tear that is opening up in Kenya’s Rift Valley due to heavy rains and seismic activity that could cause the giant chunk of land to separate from Africa in tens of millions of years. Scientists noticed the huge crakc back on March 19, and it is 50 feet wide and a few miles long. It is also continuing to grow at a rapid pace, and is a clear sign that plate tectonics under Africa are going through some very big changes that could change the face of our planet sometime in the future. The East African Rift separates the main African Plate from the long, vertical piece of eastern Africa known as the Somali Plate. The East African Rift stretches a staggering 1,800 miles, or 3,000 kilometers.